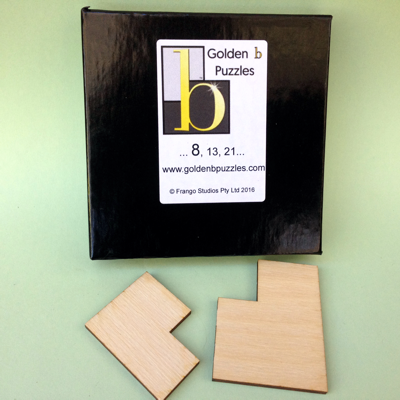 The Golden b Puzzle Classic Edition consists of 8 or 13 beautifully crafted wooden tiles. It’s a step up in difficulty from our Beginners’ Edition – both sides of the puzzle are blank, so you’ve got to rely on raw brainpower to put each piece in the right place. Precision cut and hand varnished, the Classic Edition is perfect for polygon puzzlers from ages 8 to 108. Combine with other Golden b Puzzle sets to increase the difficulty level.